However, on this occasion I set out to achieve 44 contacts to qualify the Park for the WWFF award. I was not successful but I got very close, not withstanding the poor band conditions! I need another 12 contacts. 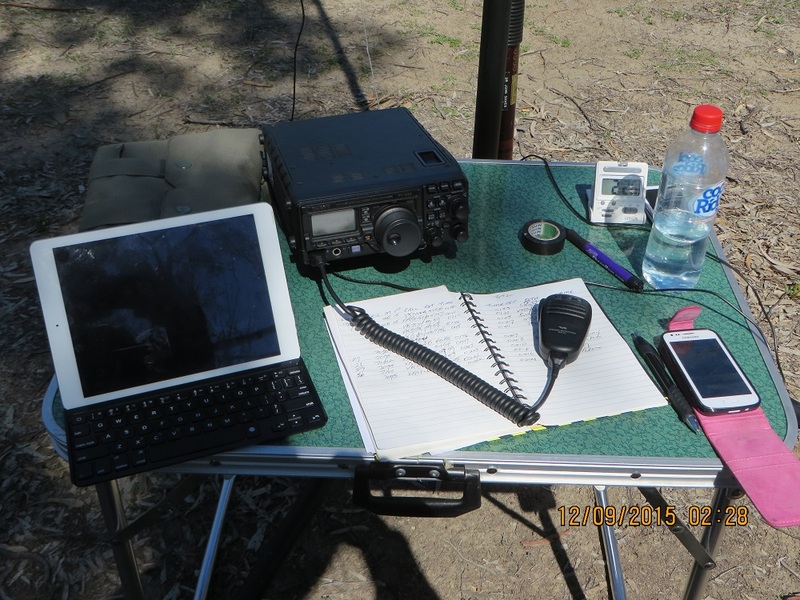 So poor were the conditions on 40 metres that I only contacted two VK5s: both Riverland stations! Contacts over longer distances were more successful and I enjoyed qsos with VK4, VK3, VK2, VK1 and VK7 stations and Chris, VK4FR/P5 who was activating Kati Thanda-Lake Eyre National Park, VKFF-276 . This was a first activation of this park for SANPCPA and for WWFF. Well done Chris. My wife Jenny is attending a Land Care conference in Waikerie on Tuesday and we decided to come a bit earlier for rest and relaxation. I have been struggling with a head cold and the warm days in the Riverland, 26 degrees today and 31 tomorrow are great for the body and soul! My gear at MRNP. I used my I-Pad to access the internet & post my intentions etc. I am sure it helped me get 44+! VK2GJC, Greg; VK7WH, Warren; VK2LX, Grant; VK2EJW, Jock; VK3ANL, Nick; VK2BGL, Steve; VK3PF, Peter; VK5AW, Adrian; VK6LCK, Daniel 400 k east of Perth; VK1NAM, Andrew; VK5FLEX, Peter; VK3HRA, Allan; VK2IO, Gerard; VK3RV, Peter; VK3AW, Laurie; VK2PKT, Keith at Parkes; VK3WQ, Jenny; VK3SQ, Geoff; VK3ZPF/SM, Peter helping out the Scouts; VK2JDS/SM, Dave; VK2GKA, Karl; VK3CAT/P3, Tony on 7.090, at VK3/VC-003; VK7CW, Steve on 7.095; VK3JK, Craig; VK3YFC/M5, Brian at Streaky Bay; VK4FFAB/P4, Rob on 7.090 at VKFF-391; VK3KLB, Albert at Bittern; VK3VTH/P3, Tony on 7.090 at VKFF-982; VK3TKK, Peter on 7.095; VK5FLEX, Peter at Renmark and finally VK4FR/P5, Chris at VKFF-276, Kati Thanda-Lake Eyre National Park the first activation for WWFF. At this point I invited Chris to take over 7.095 and posted an entry for him on Parksnpeaks. I was delighted to meet Peter, VK5FLEX, who while speaking with me said he would like to visit. I told him that I was in camp-ground 12 and sure enough he soon arrived. I was winding up at this stage and we had a good time together discussing portable operations, radio gear, up-grading his licence level and living in the Riverland. I totalled 32 contacts with two duplicates. My photo shows my operating set up including phone and Ipad. I was able to check activity on 40 metres (and elsewhere: there wasn’t anything on the higher frequency bands!) and chase three desirable contacts. I decided that I would return in the morning and try and increase my score to 44 plus (if possible). It was great to be in a Park with reasonable internet access! Propagation was generally poor and no VK5s made it into my log. However, signals into VK2 and VK3 were reasonable. 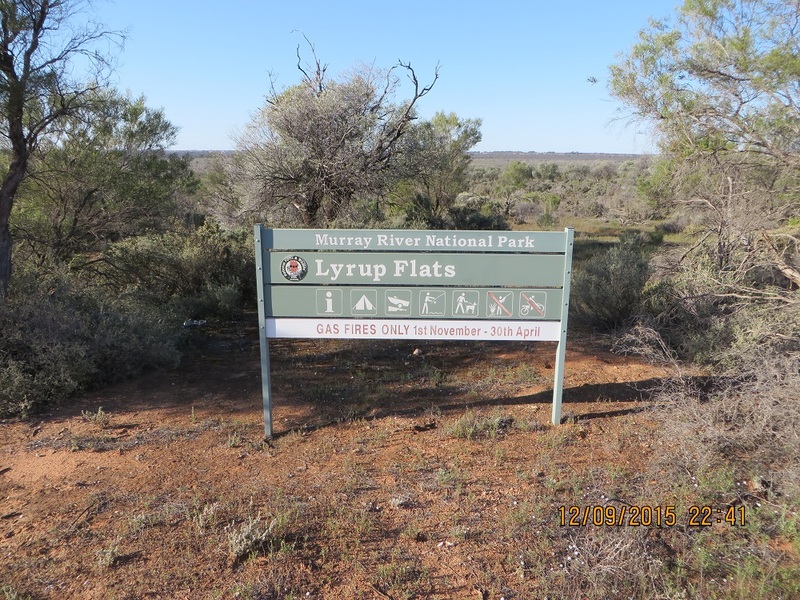 I made my way back to the same location in the Lyrup Flats section of the Murray River National Park and set up and was on the air at 23:13. My first contact was with Rob, on 7.148, VK4FFAB/P4 at VKFF-334. While Rob was in a different park to the earlier contacts it is probably still a duplicate. Rob kindly agreed to a further contact after UTC roll-over. I checked 7.095 and the frequency appeared clear. I began calling CQ and at 23:16 was answered by Peter, VK3KAI; Mike, VK6MB 52s and 31r (still we made it! ); John , VK3FCAN; Rick, VK4RF; VK4HA, Rick; VK3WE, Rhett who kindly postponed his lawn-cutting task to give me a contact; VK5FLEX, Peter; VK3MOD, Jim; and at 00:00 on 7.090, Rob, VK4FFAB/P4 in VKFF-334; Fred on 7.095, VK3DAC; VK7CW, Steve; Marshall, VK3MRG; Phil, VK2PHP/P at Baradine; VK5NM/M Rick at Loxton and finally, VK3YB, Brenton at Upper Beaconsfield. It was hard work. Propagation was the same as it has been for the last few days. The VK5’s in my log were just a few kilometers away and propagation would have been largely by ground-wave. However, I wish to express my thanks to all of the callers, amongst them some new call-signs for me, making it possible to successfully activate this park (adding a few contacts from an earlier activation). 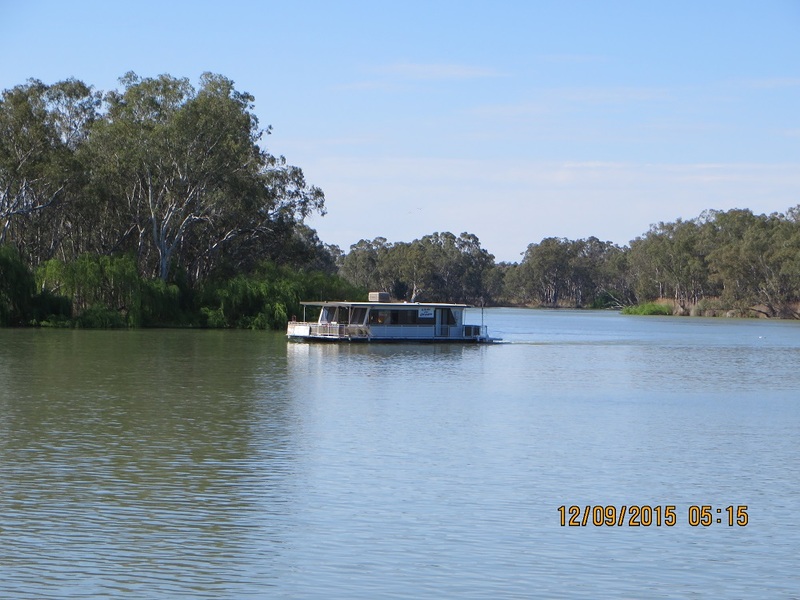 We stayed at the Renmark Caravan Park on the River. It is a great spot.